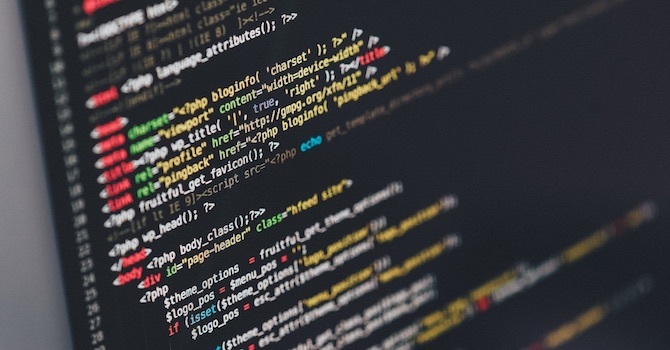 Have you ever tried implementing custom code into your WordPress site? Adding custom code to your active WordPress theme doesn't necessarily require you to have any coding knowledge to carry out the task at hand. Though, you should be aware of what the code does and not blindly copy and paste code snippets from tutorials which may be outdated or buggy. Adding code through the editor in WordPress is considered bad practice as well. So, what can you do to add minor code snippets to your WordPress site correctly? Apart from coding a custom child theme, there are a number of plugins that enable you to implement any custom code in almost any area of your WordPress website. All plugins below allow you to quickly implement custom code from a variety of programming languages. This helps you to modify and customize your WordPress website directly from your dashboard. The Code Snippets plugin allows you to create and implement any number of PHP snippets with ease by using a familiar system similar to that of the plugins page. When using this WordPress plugin to add custom code, you're able to keep track of your snippets, and also have the ability of activating or deactivating snippets to retain the code snippet for future use or reference. Inserting custom code before your WordPress website's </head> and/or </body> tags is a common requirement for a variety of scripts and services. That can be a daunting task if you lack the experience in implementing custom code. So this is where the Head & Footer Code plugin comes in handy. By using the dashboard, you're able to quickly and easily implement any custom code to your website. This allows the plugin to correctly position your code in the designated location for you. The next WordPress plugin is trusted by over 300,000 active installations. Simple Custom CSS is a lightweight solution that allows you to effortlessly add custom CSS to your WordPress website. Directly from your WordPress dashboard, you're able to implement any amount of custom CSS code into your active WordPress theme with ease using the provided code editor page. Your custom CSS code will also be preserved should you update (or change) your currently active WordPress theme. My Custom Functions is a simple WordPress plugin to add custom code. It allows you to easily, and more important safely, implement any amount of PHP code into your WordPress website. When using this plugin, you can simply add your custom PHP code in the field provided, which comes equipped with syntax highlighting, line numbering and the ability to make use of tab indentation. The Custom CSS Pro WordPress plugin allows you to add any amount of custom CSS code to your WordPress website in a convenient way. This free WordPress plugin offers some handy features including a real-time live preview and line numbering to make code editing a bit easier to manage. Despite the name, the WordPress plugin PHP Code for posts allows you to not only insert custom PHP code directly into your WordPress posts, but also into pages, custom post types, and via the use of shortcodes, within any of your themes' sidebars. Implementing any custom PHP code by using the WordPress dashboard can be a perilous task to carry out. Therefore, this WordPress plugin was developed to simplify the process of implementing any amount of custom PHP code snippets. WordPress theme developers usually implement many useful and cool features into their WordPress themes to give users the ability to customize their websites easily and with only a few clicks. Yet, there are tons of possibilities to enhance and customize websites and WordPress themes of course can't cover everything. And they don't need to either, because there are such handy and useful plugins as listed above, which can add custom code of different types to your WordPress website. Thanks for this collection. I’ve been using Simple Custom CSS and JS. It works great! Awesome collection, thanks for sharing these plugins. Hello MH Themes, please also consider mentioning my Custom Functions plugin. Hi Viktor, if you’re looking for advertising opportunities to promote your WordPress plugin, please contact us. We’ll be more than happy to put your plugin in front of a large audience.